A beautiful collectors’ edition of this classic Moomin story, using original 50s and 60s cover artwork, a fold out map and gorgeous endpapers. 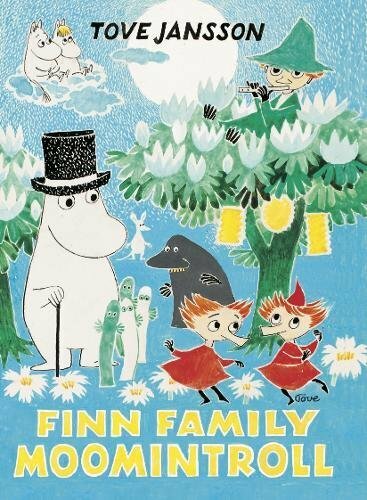 In case you didn’t know, the Moomins are kind, loyal and welcoming creatures with smooth round snouts, who live in a tall blue house shaped like an old stove in a valley in the forests of Finland. They love sunshine and sleep right through the winter, when the snow turns their house into a great snowball. In spring they wake up, clamber down the rope ladders hanging from their windows ready for fresh new adventures.